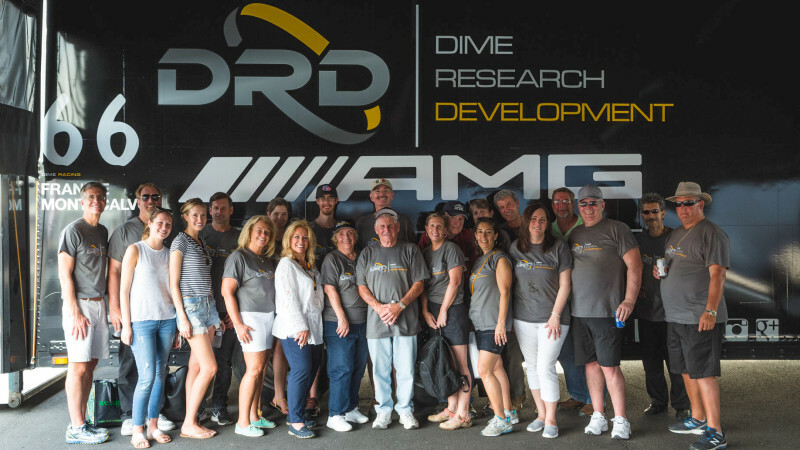 Wednesday, June 1, 2016 – Highlands, NJ – Dime Racing driver Frankie Montecalvo drove his way to another podium finish during this weekend’s Pirelli World Challenge Championship festivities at Lime Rock Park. After having trouble late in Race #1 with a blown out tire and not being able to finish the race, Montecalvo was more than ready to get back on track Saturday for Round 11. “We had a pretty uneventful weekend at Lime Rock. It’s a great track to drive, but the Mercedes struggled a bit there this weekend,” explained Montecalvo. The Dime Racing Mercedes AMG SLS GT3 will be re-tubbed before Rounds 12 and 13 of the Pirelli World Challenge Championship at Road America in June. Don’t miss Rounds 12 and 13 of the Pirelli World Challenge Series at Road America on June 23-26. Stay tuned for updates from Frankie and for details on how to watch him race Live at one of his favorite tracks in America.